Perfect love gift; print featuring kissing penguins and a love quote. 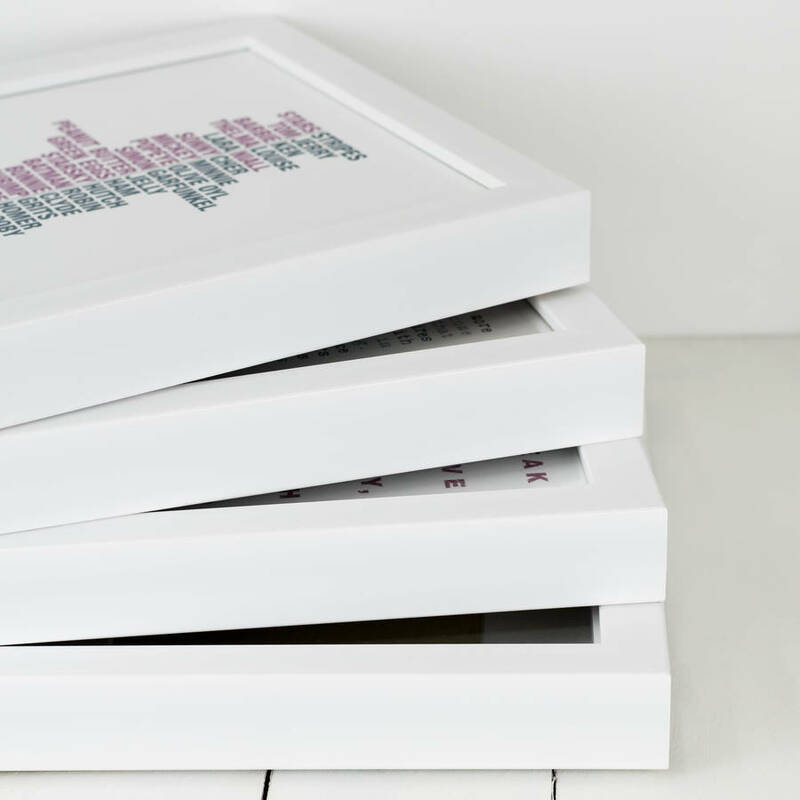 Gorgeous personalised love gift or anniversary gift. Available as a standard or personalised print. 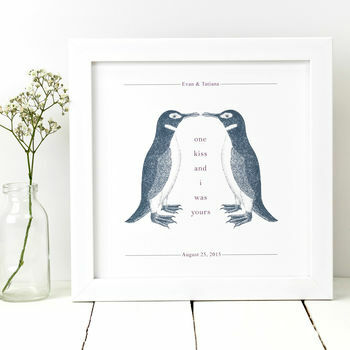 Personalised print : the couple's names are also in purple like the quote. Please note that we do not send you a proof so please make sure you get the names correct when you type them into the box. If you'd prefer to remove 'one kiss and i was yours' (so no wording between the penguins) please choose the relevant option in the drop down box. Or you can add your own text. 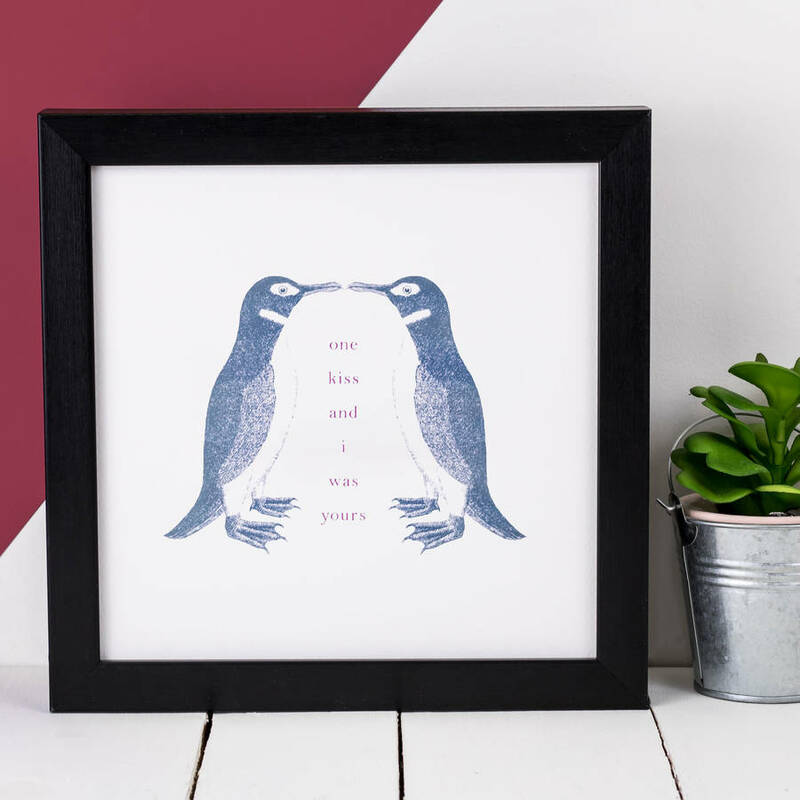 If you choose to buy this print unframed it will be posted flat on thick 100% recycled grey board and protected inside a clear, archivally-safe, polypropylene print bag, an ideal gift ready for you to frame or gift-wrap. The backing board and print bag are both recyclable. Heavyweight textured fine art paper. Unframed: H23 x W23cm. 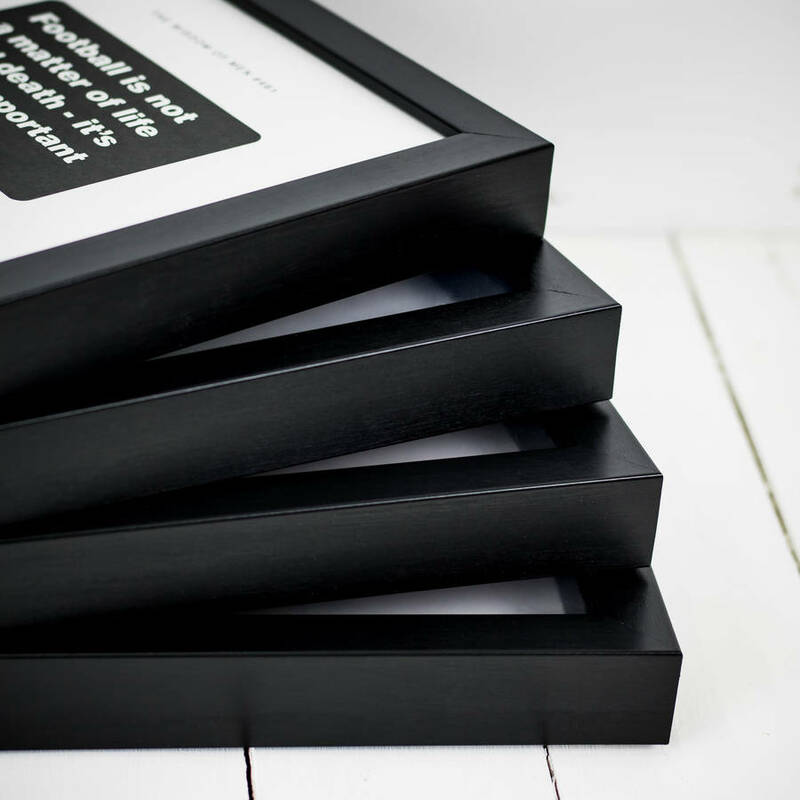 Your unframed paper print is a standard size so will fit an off-the-shelf frame such as the Ribba from IKEA. Framed: H23.5 x W23.5 x D3cm (as shown in the photos).